Today Mr. Postman delivered a special parcel addressed to ME!!! It was sent to me special delivery from Barc London @barc_london. Barc London produces high-quality luxury dog accessories ranging from leads and collars to harnesses and they had sent me a gift to try and review for all my dog pals. Well I was very excited and most curious to see what was inside my special parcel and my dear dog pals I was not disappointed! Inside was a lovely note and a beautiful new Barc London pink collar! Now I do not know how they knew but my current collar is getting a bit shabby so this was perfect timing! And how classy is the Barc London collar! My collar is a beautiful, subtle shade of pale pink, crafted in soft leather, embossed with the Barc London branding and with high quality rose gold fasteners. Hum took my old scruffy collar off and put my stunning new collar on. 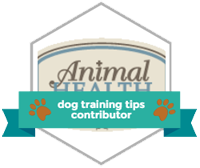 Oh my dog friends – it is the most soft, comfortable collar I have had in my short life-time! Hum wanted to take it off to do more photos but I was having none of it – this is my new favourite collar and it is staying round my neck! aww how cute, looks a lovely dog collar..